In my last few weeks (maybe a month) of being at the Zoo there were many new arrivals! Of course I just couldn’t resist in taking pictures of them and I’m even planning on going to Whipsnade tomorrow as I hear there’s loads of babies there too! 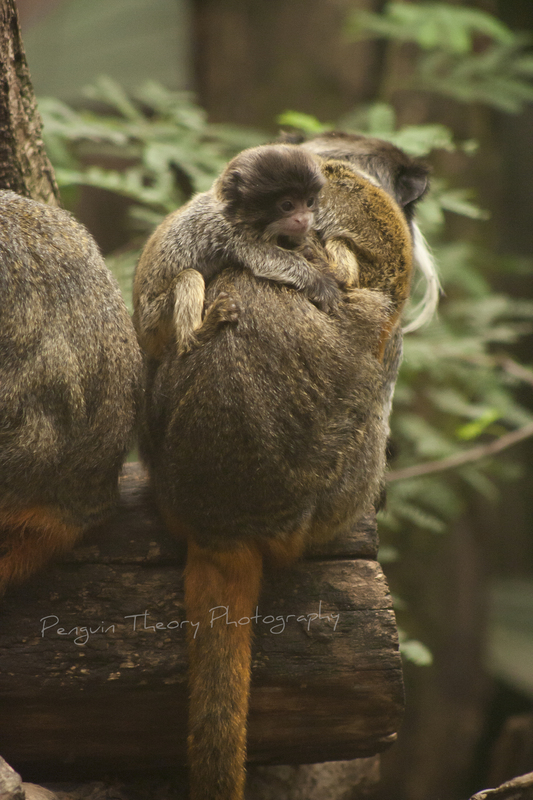 Last thursday I took a special trip to the rain forest exhibit to take pictures of some adorable baby Emperor Tamarins. These were only just over a week old and absolutely TINY! 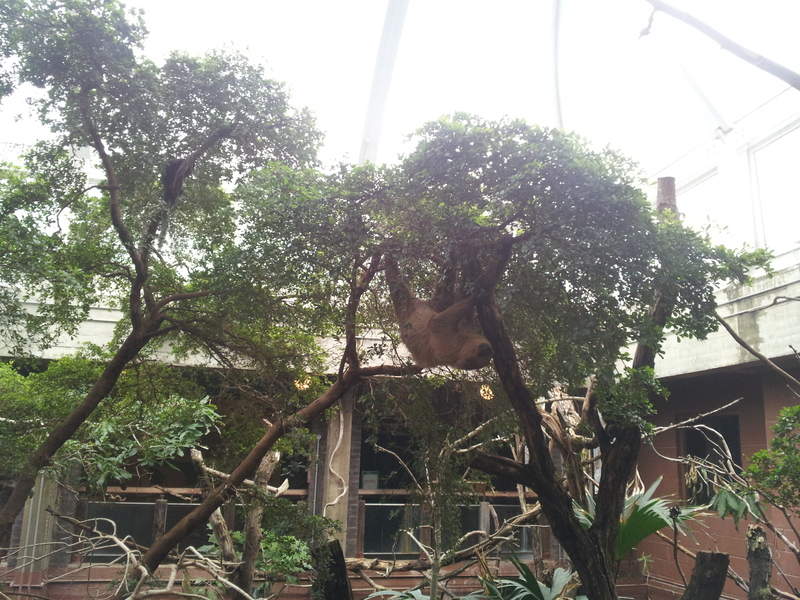 They’re a small enough species of monkey to fit in the palm of your hand anyway, but the babies really are miniscule. 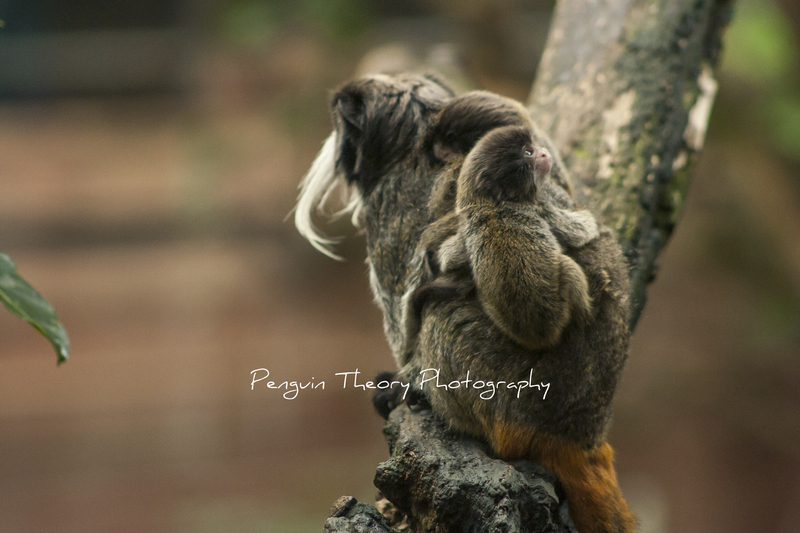 There were two born as these tamarins usually do give birth to twins. 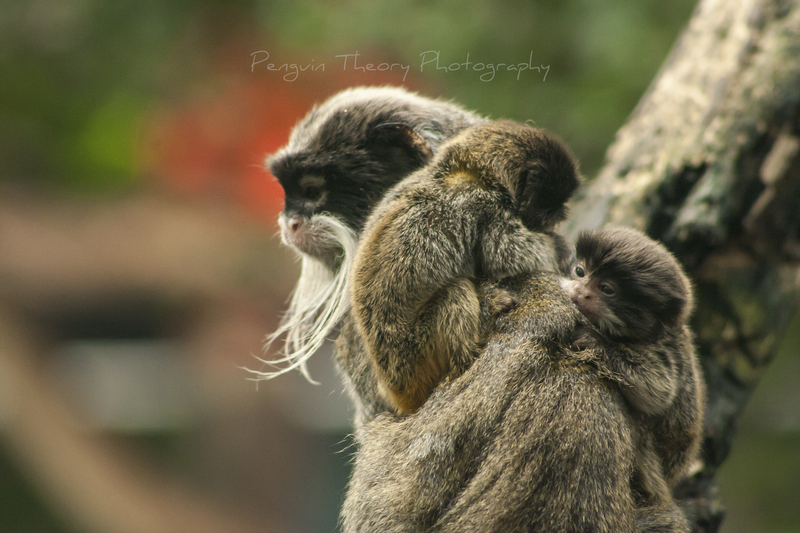 When they are first born they do not have the distinctive white moustache that Emperor Tamarins are well known for, but that begins growing soon after. After birth the mum gets a nice rest as it is usually the dad that does most of the carrying, just passing them back to mum when they start calling for food. In ZSL London Zoos Rainforest Exhibit the whole family help out with the babysitting duties, including some Golden Lion Headed Tamarins as well! The two babies are already growing quickly and starting to be more aware of their surroundings, I will have to go back soon and document their progress! I can’t wait to see the wonders of Whipsnade, nor can I wait to take many photographs! Yesterday was my last shift at what is definitely the best job I’ve ever had. 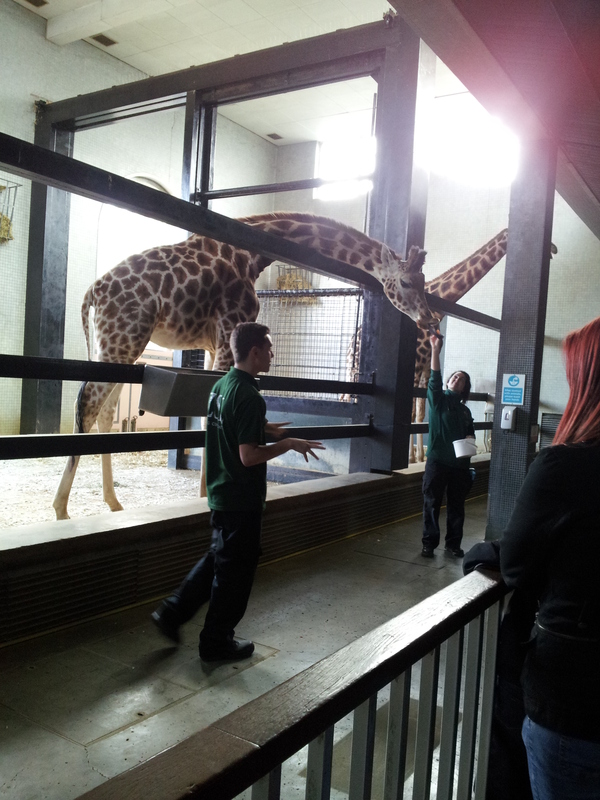 I’ve been working as a presenter at ZSL London Zoo over the summer and it’s been the best summer ever. Every day I was surrounded by incredible animals, I was constantly learning new, amazing things (which often meant getting close to the animals) and genuinely looked forward to work everyday. Sure parts of the job we’re hard work and stressful but it was always well worth it. I’m going to miss seeing all the animals and people i met everyday and being able to share how awesome nature is with everyone but fingers crossed I can go back next summer! 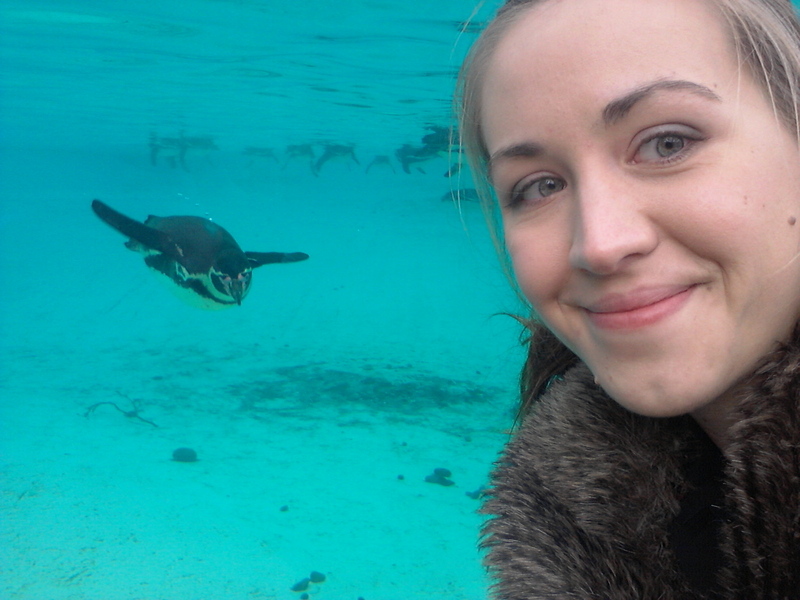 But now it’s time to find a job over the winter, I have a few possibilities which would actually give me a lot more time to focus on The Penguin Theory, hopefully I can ace the interviews! 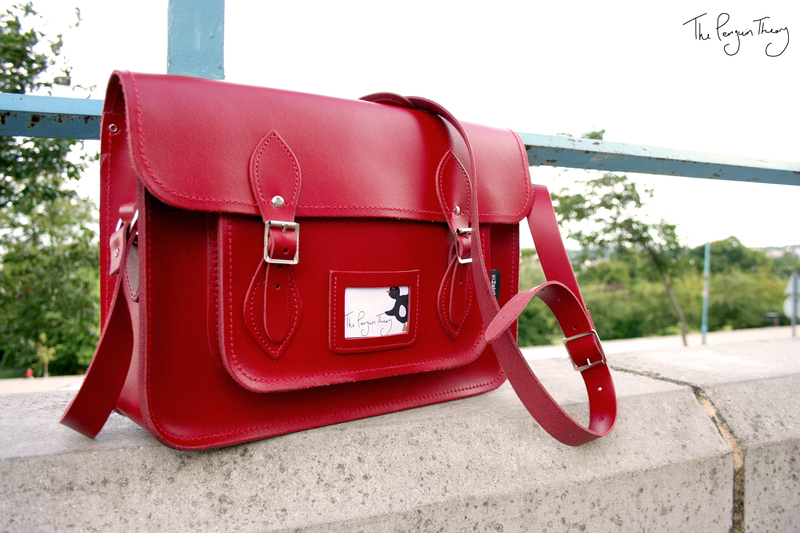 I’ve been playing with lots of ideas for new products and lines, but nothing has been finalised. I plan to work hard over the next few weeks to make lots of items for my Etsy shop and also for craft fairs! It’s time to get busy so expect lots more updates shortly! Keep an eye out for some brand new photography of some cute baby animals coming up shortly! 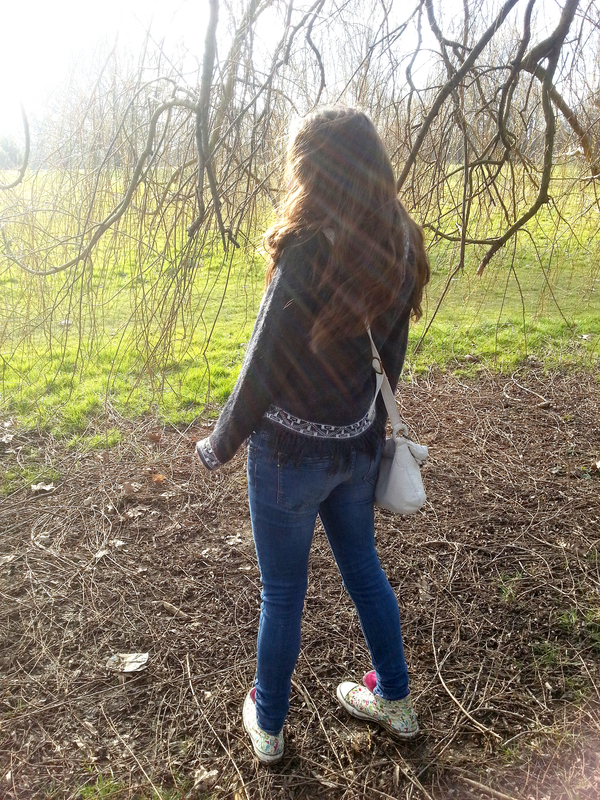 As the weather was rather nice today, Ash and I decided to go for a nice little stroll in a nearby park. I wore my Alpaca jumper my mother brought me back from Peru as it was still a little nippy and Alpaca wool is amazing at keeping in the heat! 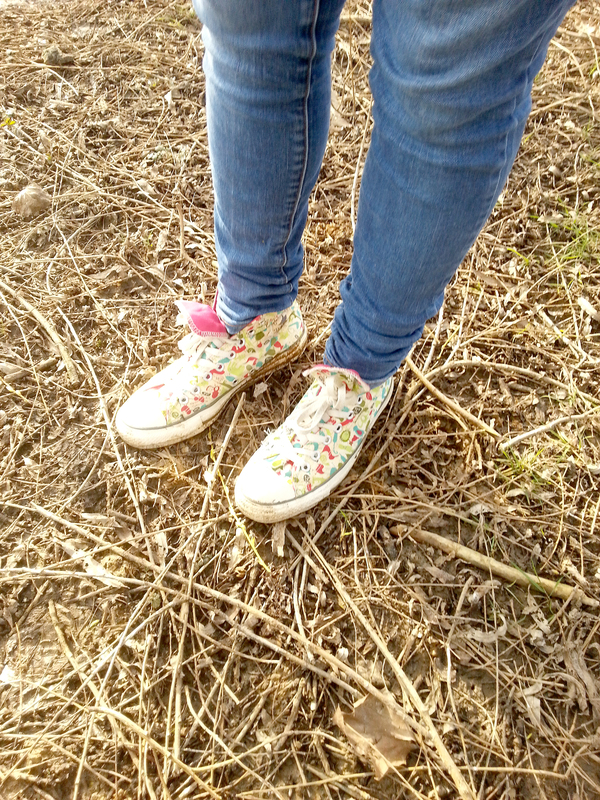 I also wore a pretty little headscarf I bought from either Egypt or Jordan (I can’t remember which) around my neck and some cute animal print converse, although in hindsight maybe I should have worn wellies! We took lots of pictures of the new buds that were struggling their way out of the earth and the blossoms on the trees. Ash took this last one, I told him to stop being so good. You should follow him on Instagram as his photo’s are far superior to mine. Just search ‘Ashloids’. 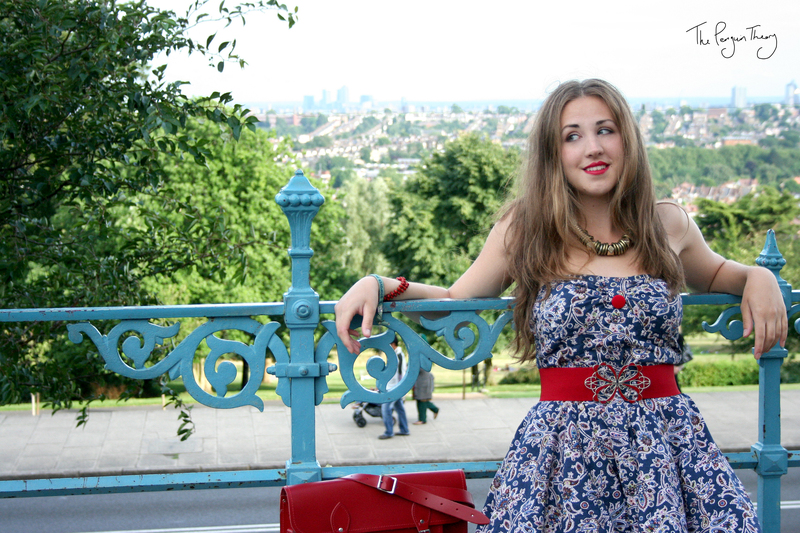 Hopefully the weather will keep getting warmer now so we can have even more pretty walks! 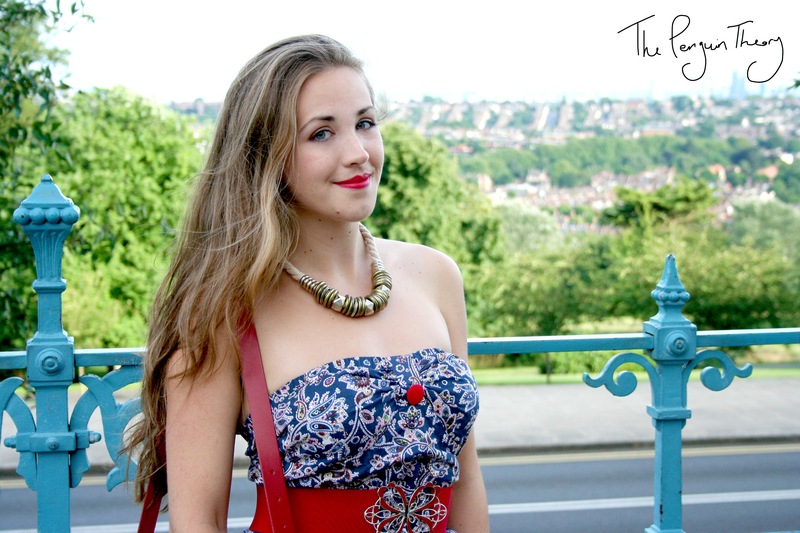 The weather is getting colder now and Autumn is upon us! It’s time to wrap up warm by the fire and be glad you’re not one of those woodland creatures out in the cold. So here’s a few items to celebrate the autumn months and the cute little animals that are frolicking in the forests of england. You can find my treasury with all the items in it here there are also links to all of the items in their titles. 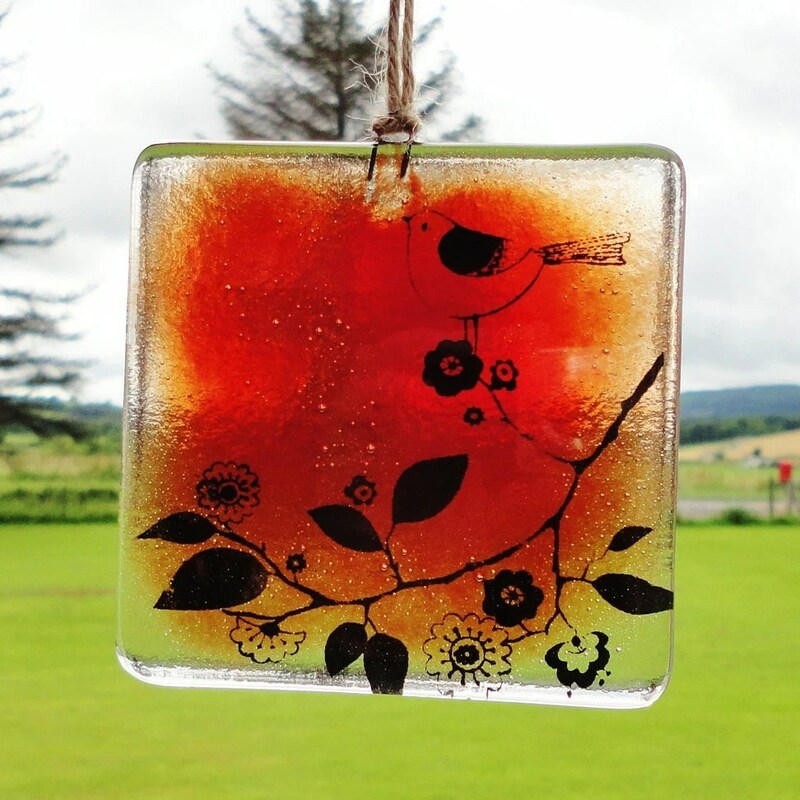 This cute little sun catcher by Lazy Daisy Glass will be perfect for bringing the autumn colours into your room and decorating your windows! 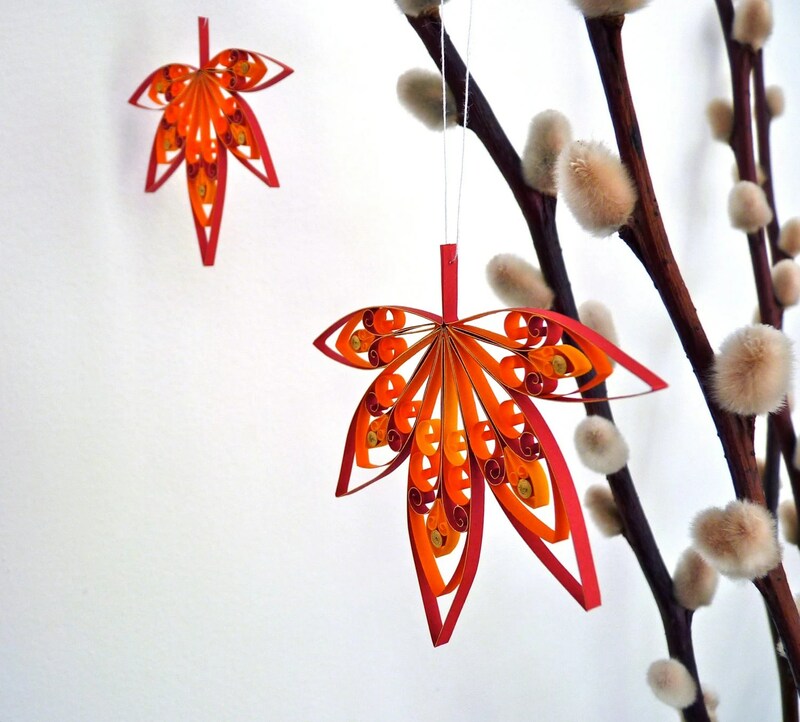 A great decoration for this, or any, time of year! This gorgeous photograph by Shannonpix just shouts of autumn to me. 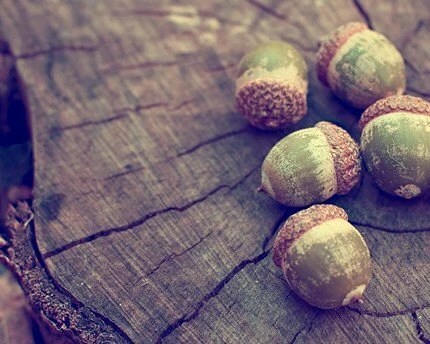 Acorns, rustic wood, greens and browns. I think this would would look amazing above a log fire on a cold night. Damson Tree Pottery makes some truly wonderful items, some of which I have my eye on for when I actually have some money (and a bigger home). 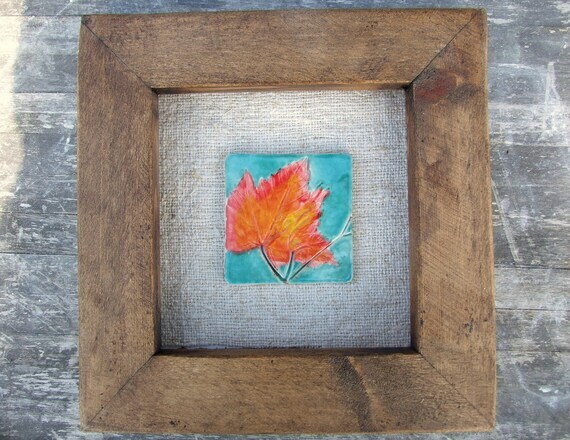 This cute little tile is perfect for welcoming the autumn months into your house with those vibrant colours. Another item for your home made by VeeDubz. 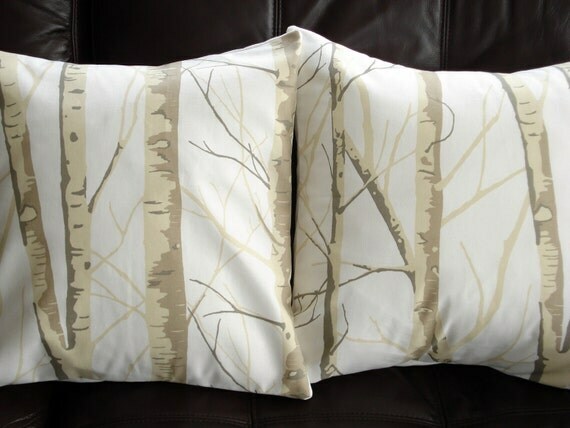 I love the look of trees in winter and these cushion covers catch their intricacies perfectly! I can just picture my self snuggling up on the sofa with these. 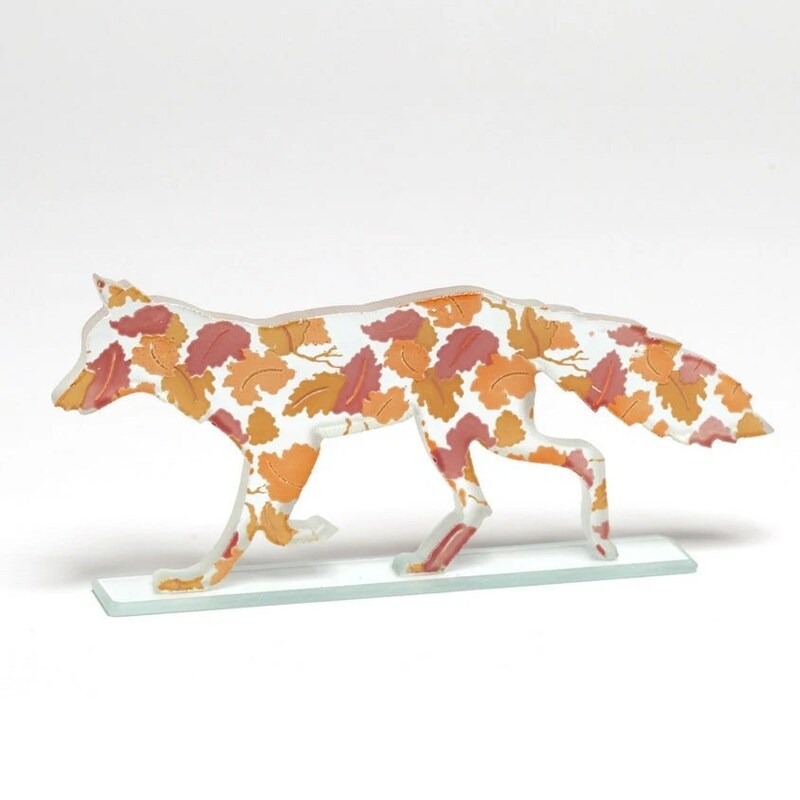 This adorable glass sculpture would look amazing on any mantle piece or window sill. 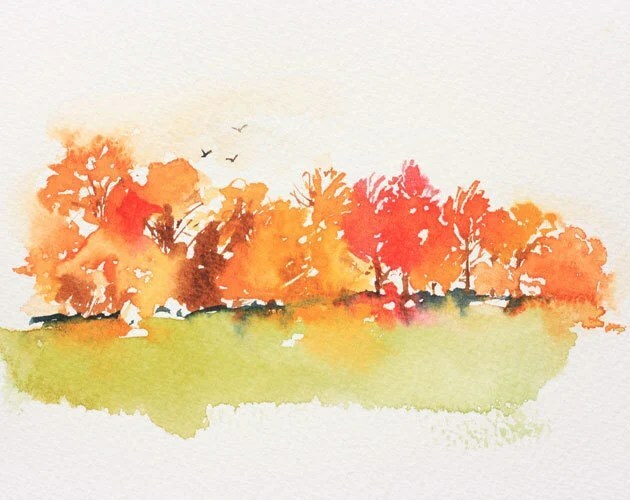 The autumn leaves and the running pose really gives the idea of movement to the piece and makes me imagine all the critters in the woods hurriedly foraging for food before winter sets in. More leaves! And this time they are wearable. 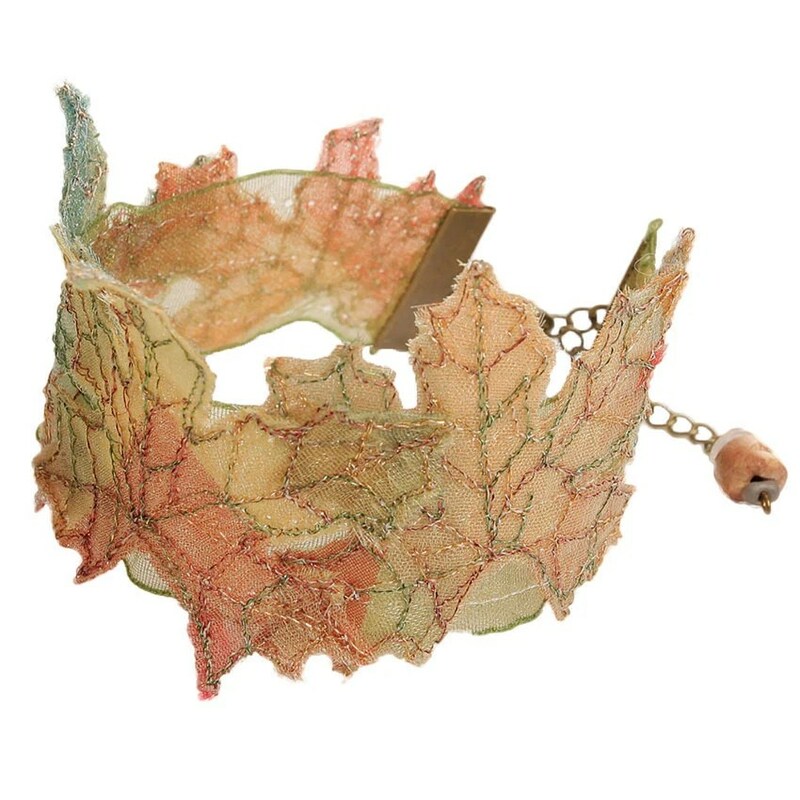 I think this cuff would look great with just a simple black dress and some matching accessories. 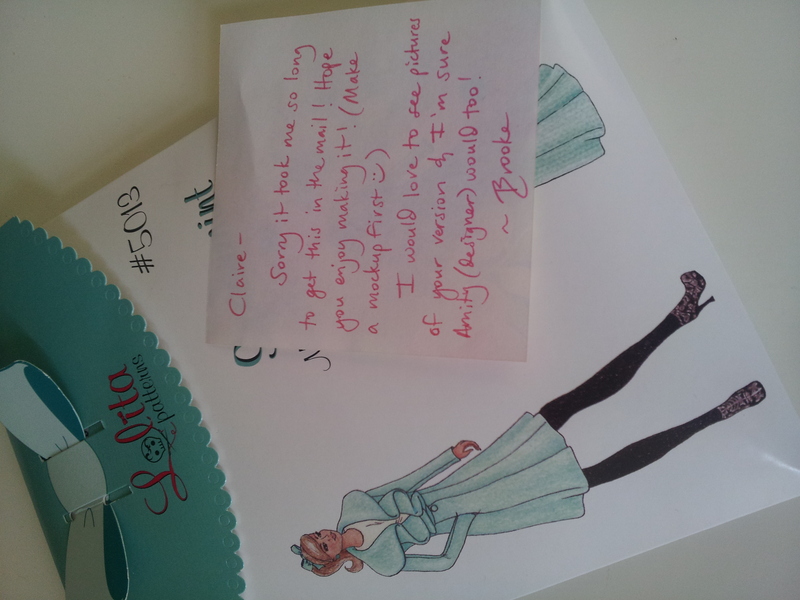 I love the colours, all the detailing, and the fact that it just looks so delicate! Almost like real leaves! 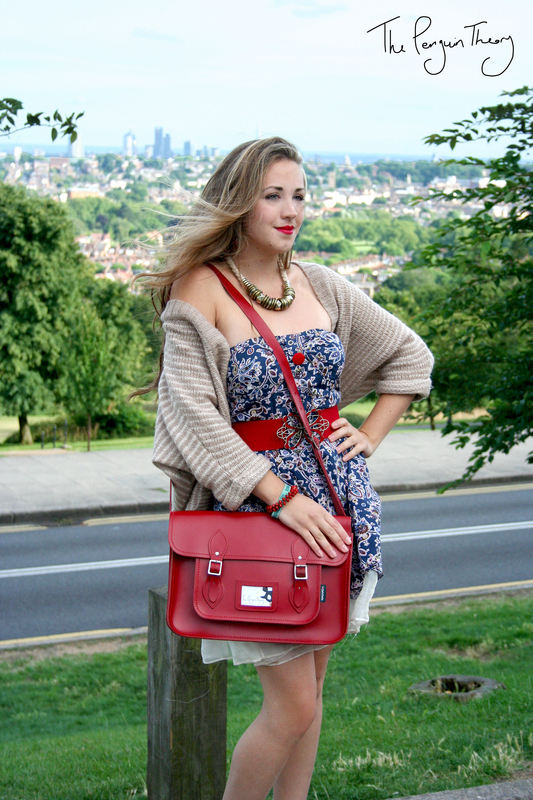 It’s the perfect statement piece this autumn. These bright and colourful decorations are bound to catch the eye of your guests who will just marvel at the details. These come in lots of other designs too so you could even buy a whole forest of them! I’m sure they’ll be plenty of autumn weddings out there, so why not match the wedding to the season? 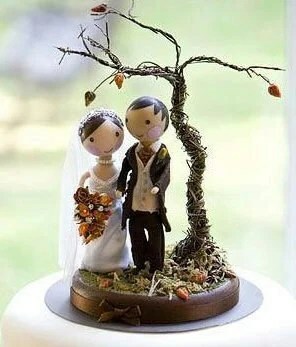 This adorable cake topper is just perfect for an autumn cake. The bride and groom can be fully customised making this truly yours and then kept as a keepsake to remind you of your special day. 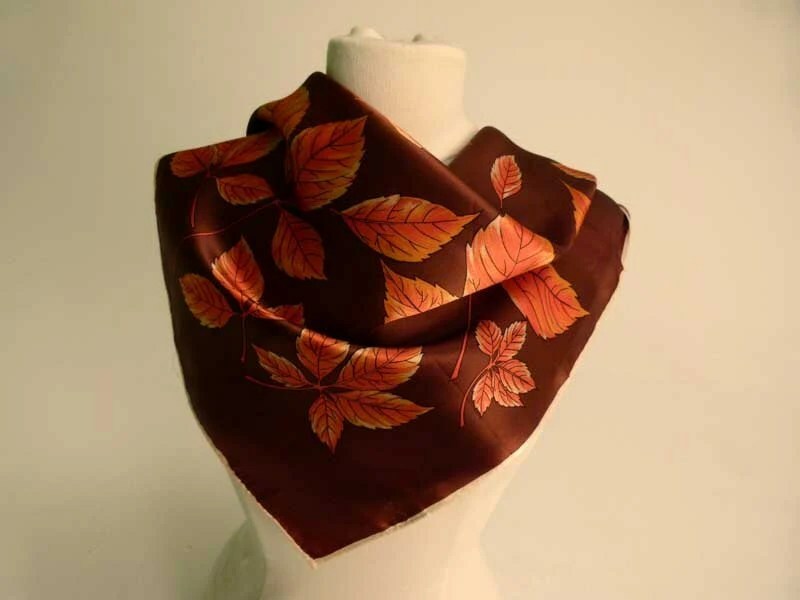 This vintage scarf is just gorgeous. I think it would look great with a nice thick coat. I think it’s something I could imagine both myself AND my grandma wearing! This is definitely a fashionable scarf for all ages. 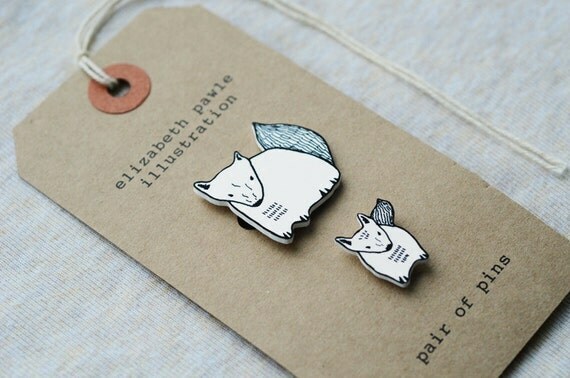 These adorably, simple brooches are perfect for autumn lapels! Personally I think they would look great pinned on a fur (or faux-fur) collar. It’s a simple way to make any outfit just a little cuter. Who doesn’t love Bears? They look so big and cuddly, as long as you stay away from the claws! 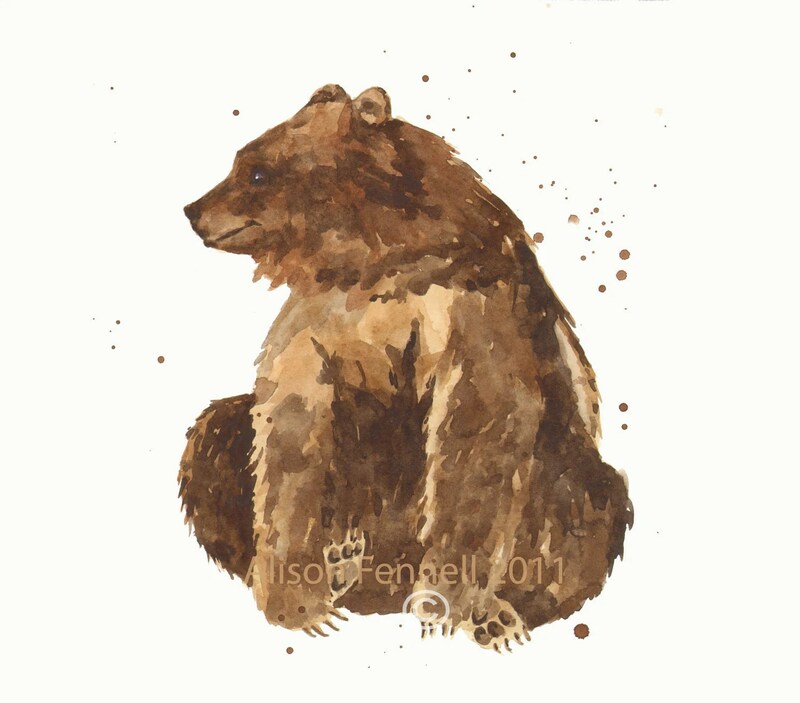 This is another print that’s just perfect for a room with a log fire (or maybe I just really want a log fire…) I love the innocent, happy look on the bears face and it’s relaxed way of sitting. It just makes me want to relax myself and watch the world go by. 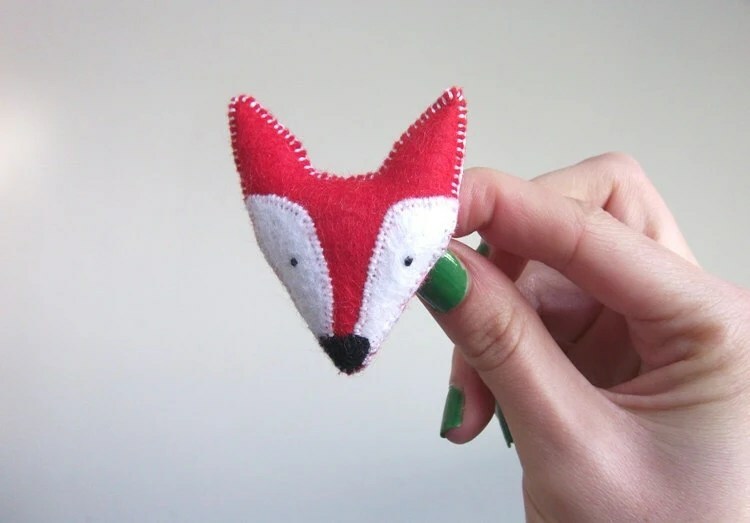 Another fox brooch for your lapels. Again this one is adorable and again I think It would go well with fur! 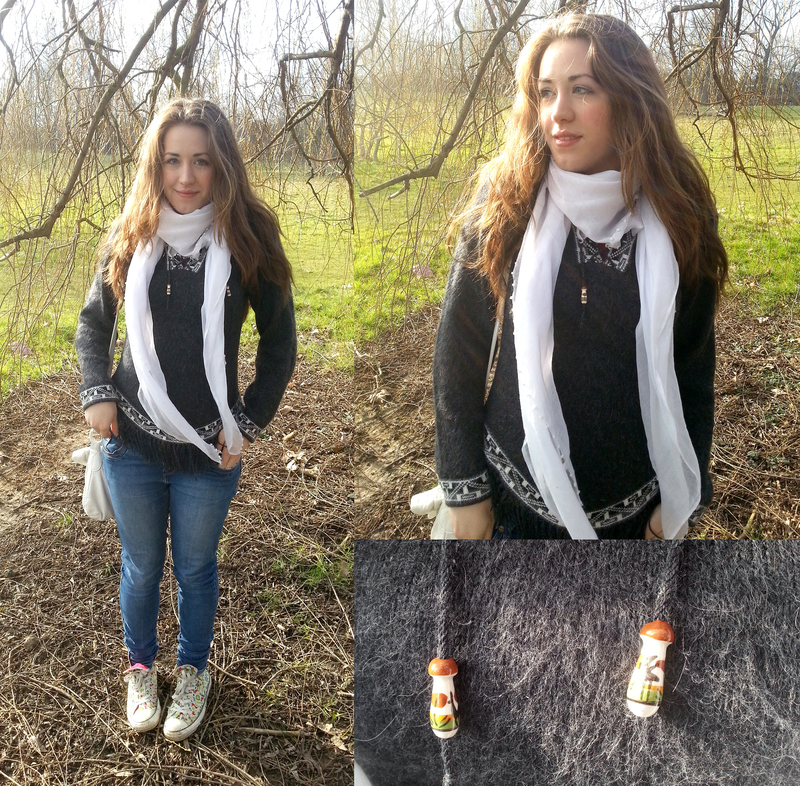 It’s the perfect way to style up your coat (or what ever else you want to pin it to). Apparently I can’t get enough of foxes, here’s another foxy item! Anyone that knows me knows that I LOVE my novelty hats. In fact when I was younger I had a page on a website completely devoted to my collection of hats! I think the main reason I love autumn is because I get to wear my many many headwarmers. It’s taken everything I have (and my lack of money) to stop me buying this. I honestly don’t need any more hats with ears, but yet I still want them. Someone just please buy this before I do. Another Item I’ve had my eye on for a while..This absolutely adorable ring. 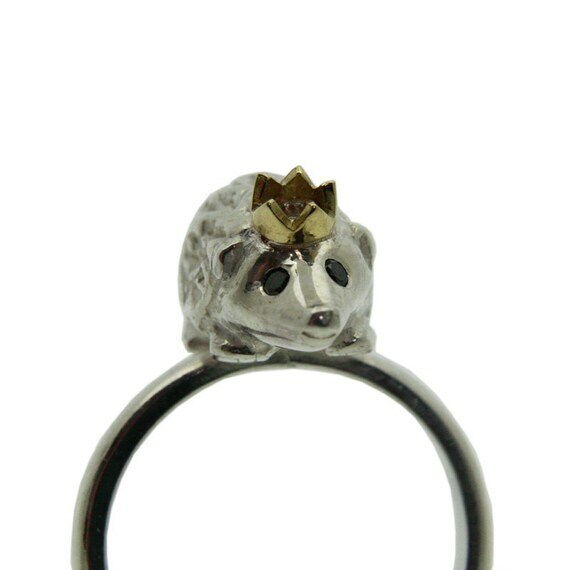 Not only is it a cute little hedgehog, but it has an adorable little crown! It just makes me ‘Squee’ every time I look at it. The last item is this adorable Coin purse. 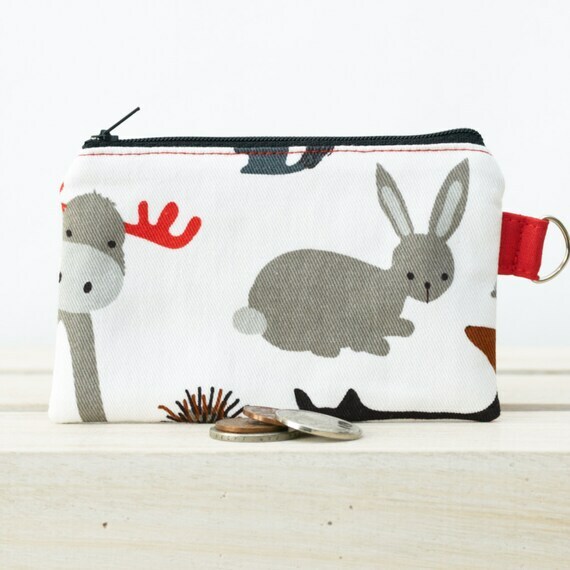 It’s covered in little critters and is perfect for the young animal lover to carry around their pocket money. 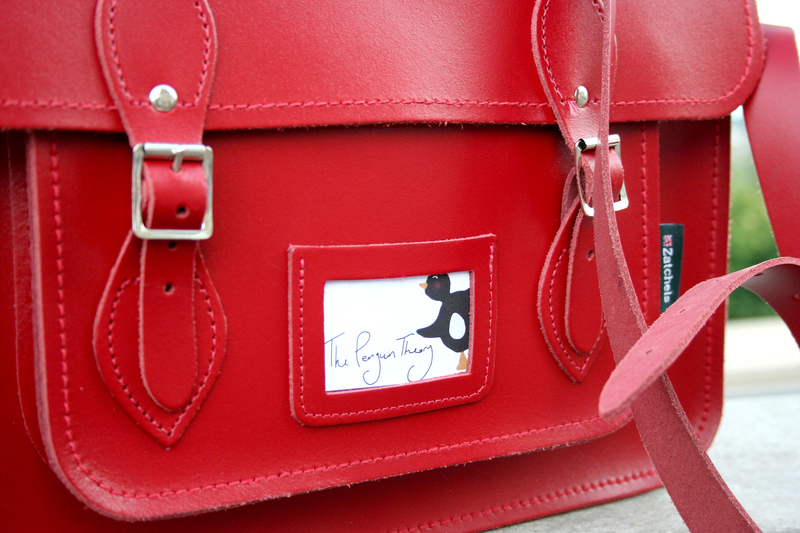 It even has a handy ring tab to help keep it safe! 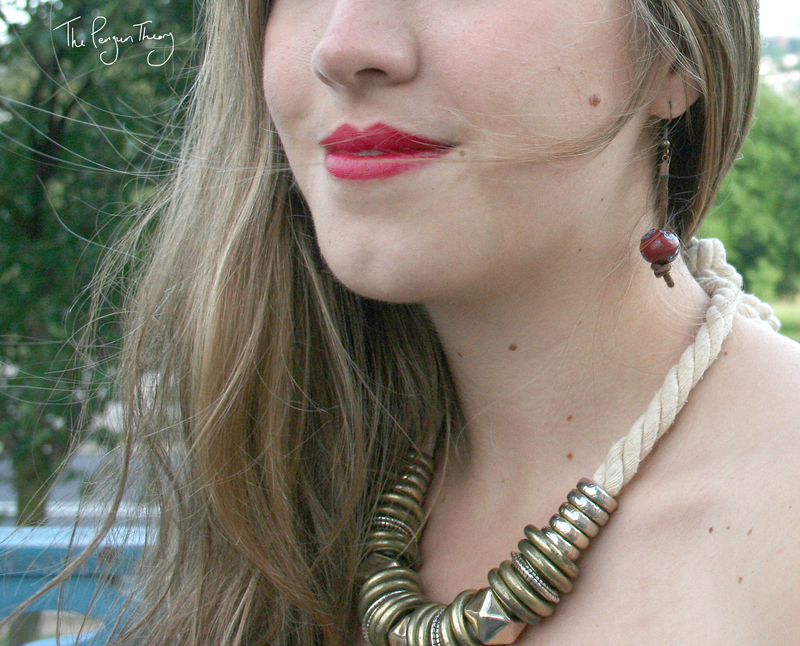 There will be more treasuries coming soon (They’re just so much fun to make!) The next one will be Halloween Themed!